The TR60B comes with a 60 in. (1524 mm) boom. The spring-loaded boom reduces shocks to the hydraulic motor, skid steer or compact track loader, and operator. Manual side shift conveniently allows trenching close to structures. The TR36B design allows easy entrance and exit from the skid steer or compact track loader. 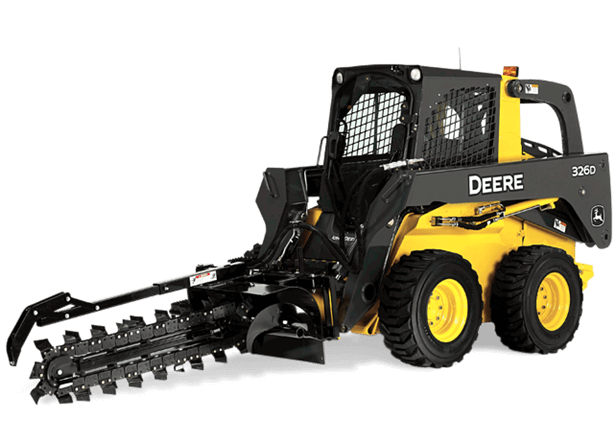 Like all Worksite Pro attachments, these trenchers are optimized to work with John Deere Skid Steers and Compact Track Loaders, and are compatible with most competitive models.